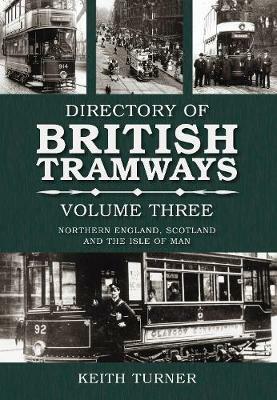 As trams and other light rapid transit systems make a comeback in many British cities this packed volume, the third in a trilogy, looks at all the tramways that have operated in the towns and cities of northern England, Scotland and the Isle of Man. From the 1870s to the 1950s, trams were a common sight in many British towns and one sorely missed by many enthusiasts. This illustrated book is a practical and useful tool, revealing the tramway lines and networks of the British Isles, with archive photographs and informative text. Volume One covers southern England (including Greater London and East Anglia) and the Channel Islands, while Volume Two covers the counties of central England, and the whole of Wales and Ireland. Author Keith Turner's in-depth research and stunning illustrations offers the definitive work on the subject.